Desperate times create desperate people. And desperate people are dangerous . . . Though Emily Hunt comes from a family of cops, the relatively quiet life of a high school teacher suits her just fine. She's saving up to buy a house, slowly moving forward after her brother's death, and settling into a life she loves. So the last person she wants to spend time with is Mason Taylor. An undercover cop, Mason is enemy number one as far as her family is concerned. His involvement in the death of Emily's brother is still up in the air, and now he expects her to help him with a case. Mason has been working with one of her students, Rafael Cerda, whose brother has been kidnapped by a drug cartel. And with time running out to meet their demands, Rafael is getting desperate. Emily will have to draw on all of her strength to handle what happens next . . . 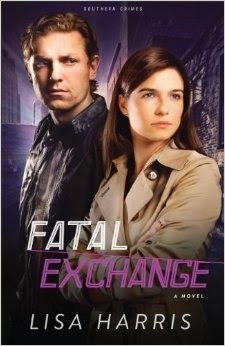 Fatal Exchange is book two in the Southern Crimes series. I didn't pay much attention to this as I started the book and thankfully, it didn't subtract from the story. There were a couple of references to the first story, but it was easy to piece together. This book offers up one mystery after another. I was very interested to see how everything would fit together and reveal itself in the end. I will say as a disclaimer, it's not mentioned in synopsis, and I promise I'm not trying to spoil anything, but the story does deal with a hostage situation at a school. I know this can be a touchy subject to some, but it was presented in such a way that it isn't there for the sake of suspense, but as an intricate part of the story. The mystery kept evolving as the story progressed and it was fun to follow along with Mason and Emily as they were forced into these situations. Mason was an interesting character. I didn't know him from book 1, but in Fatal Exchange, he is a man who is learning and growing in his faith, trying his hardest to help those around him. He is a strong lead character who will gladly put his life on the line to help anyone. Emily was another strong lead. Again, I didn't know much about her going into this book, but she shows how strong she is in a tough situation. She has a quiet strength in her that shines through in this book. She leads by her head and does her best in every way possible to protect her students that she cares about. I need to go back and read the first book in the series now and get caught up and ready for book three. The ending of Fatal Exchange left me many questions. I'm very interested to see where it will go. 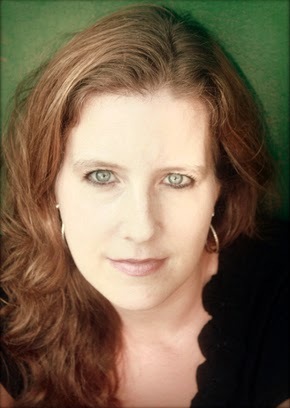 Lisa Harris is a bestselling author, a Christy Award finalist, and the winner of the Best Inspirational Suspense Novel for 2011 from Romantic Times. She has sold over thirty novels and novella collections. Along with her husband, she and her three children have spent over ten years living as missionaries in Africa where she homeschools, leads a women's group, and runs a nonprofit organization that works alongside their church-planting ministry. The ECHO Project works in southern Africa promoting Education, Compassion, Health, and Opportunity and is a way for her to "speak up for those who cannot speak for themselves . . . the poor and helpless, and see that they get justice" (Proverbs 31:8). When she's not working, she loves hanging out with her family, cooking different ethnic dishes, photography, and heading into the African bush on safari. For more information about her books and life in Africa, visit her website at www.lisaharriswrites.com or her blog at http://myblogintheheartofafrica.blogspot.com. For more information about The ECHO Project, please visit www.theECHOproject.org. Thank you to Revell Blog Tour, I received a copy of this book for free in exchange for an honest review.